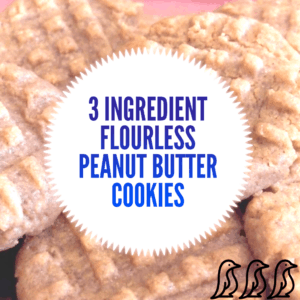 These easy gluten-free, sugar-free peanut butter cookies are perfect for any occasion, or an everyday snack. To vary the flavor, try mixing 1/2 cup dried fruit, nuts, or chocolate chips into the batter. In a medium bowl, mash the bananas with a fork. Add egg and peanut butter; stir well to combine. Stir in any add-ins. Drop the batter by tablespoon onto a greased baking sheet. Gently press with a fork to help the cookies spread. Bake for 8-10 minutes or until baked through and slightly browned around the edges. Allow cookies to cool for 5 minutes.